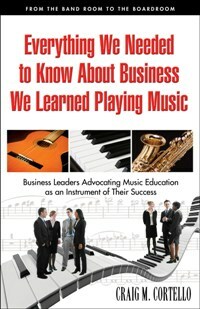 Craig Cortello is the author of "Everything We Needed to Know About Business, We Learned Playing Music, a compilation of interviews/profiles with 32 CEOs and business leaders who played music as a child or adolescent and view that experience as a defining one in preparing them for success. A musician friend recently brought to my attention the Australian artist Sia (pronounced See’-Ya). What is impressive about her is the creativity that she brings to her performances and videos. I stumbled upon a video of her performance of her song “Soon We’ll Be Found” from an appearance on The Late Show with David Letterman in 2008. It’s a beautiful song, and set up against the all white backdrop, with the exception being her colored hands that she uses to convey the lyrics in sign language. It’s both a visually and musically stunning performance. It’s clear that music to her is an emotional experience, and that level of investment in the song is conveyed to the listener. Perhaps even more impressive was a video of the same song for a radio appearance. On a day when she was clearly battling some sort of throat ailment, and with minimal instrumentation and only serviceable live audio support, Sia gave an equally compelling performance. It was a clear indication of her professionalism. A true artist gives 100% of whatever they have in any given performance – Whatever 100% might be on that day and in that environment. 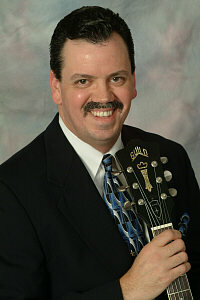 When I was a kid, I loved the series of musical cartoon vignettes called Schoolhouse Rock. The cartoons were aimed at helping children learn their lessons facilitated by music. The subset of SR aimed at History lessons was called America Rocks. Those cartoons and accompanying songs gave you such an idealistic view of America and gave me a sense of pride in what we had accomplished as a nation. Given the current state of political affairs, the direction of our nation’s government, and the lack of leadership among our political leaders, I’ve composed a non-partisan commentary on the current state of the nation’s affairs entitled America Used to Rock.